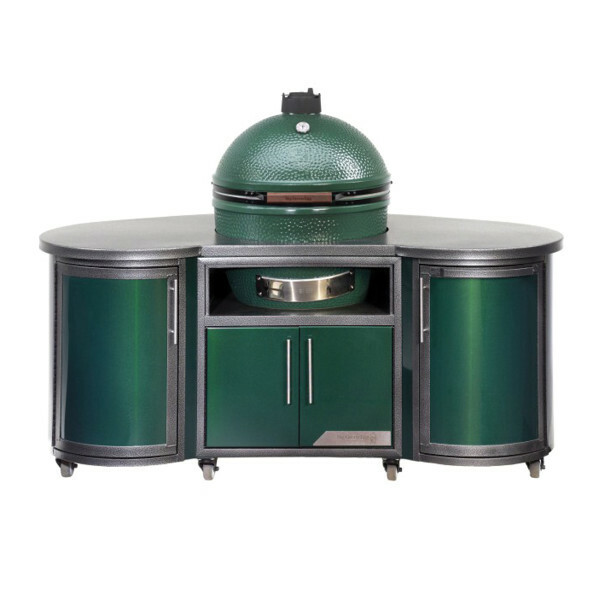 The Big Green Egg Custom Cooking Islands are available in a 76″ length or a more compact 60″. 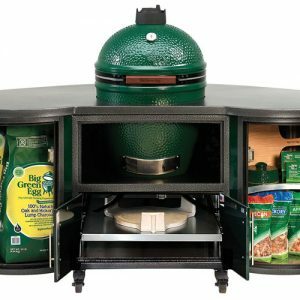 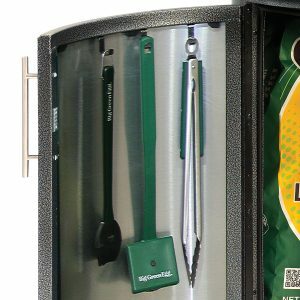 Designed for XLarge and Large EGGs, the Islands feature high-quality aluminum and steel construction with solid stainless door pulls, a heavy-duty sliding shelf, ample storage cabinets for charcoal and utensils, locking casters and a durable, weather resistant powder-coated finish. 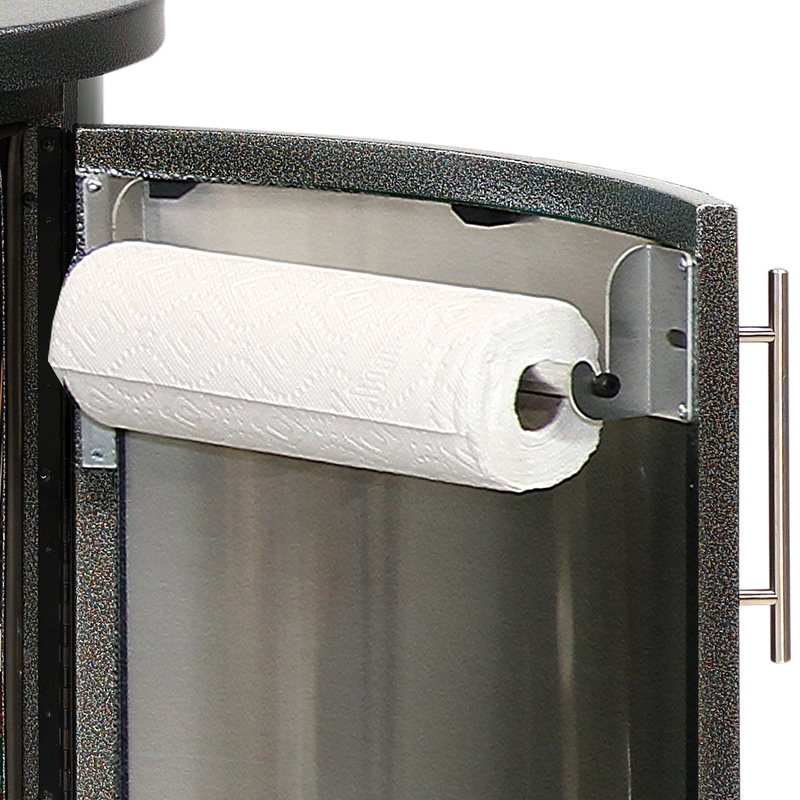 The 76″ Island also includes a convenient paper towel holder.